Industrial floors, loading zones, parking garages and other high traffic areas are constantly exposed to heavy wear and tear. Forklifts, vehicles, equipment, foot-traffic, everyday operating conditions, even spills of chemicals or other substances can prematurely damage floor surfaces. Slippery surfaces or damaged floors with uneven areas can also create potential fall hazards. Repairing or replacing existing floors can be expensive and create costly operational downtime. ULC's elastomeric protective coating solutions provide a tough, impermeable, seamless barrier that extends the floor's service life at a fraction of the replacement cost. These ultra high-strength, flexible coatings are able to move with substrate expansion and contraction. They provide a durable surface that is abrasion resistant and able to withstand repeated power washing and cleaning. Non-skid or slip resistant surfaces can also be achieved to help minimize fall or trip hazards. The fast-set or rapid curing properties of the coating allow for a quick return to service. 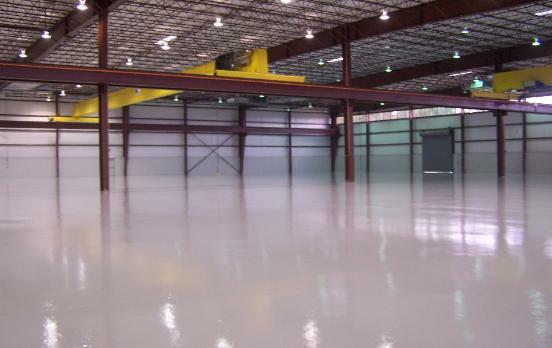 Warehouse and manufacturing facility protective floor coating. Food and agriculture, medical, veterinarian, & clean room floors. Protecting floor surfaces in loading areads & forklift zones. Concrete joint fill or crack repair. Non-skid or slip resistant floor coating. 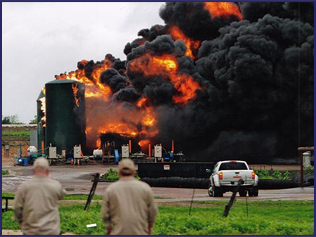 K5™ is an ultra high-strength, high-eleongation polyurea, originally developed as a resilient blast resistant polymer. Soon after, it was discovered that K5™ is exceptionally resistant to abrasion, compared to other spray applied coatings. K5™ can be strayed on to virtually any surface configuration, at any thickness. Therefore, it can be selectively applied to high wear areas. Polyshield HT™ 100F is the work-horse of the polyurea protective coating industry. Millions of square feet of this product have been successfully applied worlwide. This advanced coating combines high elongation and tensile strength properties to form a tough, flexible, resilient monolithic membrane with water and chemical resistance. Polyshield HT™ Traffice Coat is a state-of-the-art, high-performance, sprayed, plural-component, pure polyurea elastomer. This system is based on amine-terminated polyther resins, amine chain extenders, and prepolymers. It provieds a flesible, tough, resilient monolithic membrane with water and chemical resistance. Extended tack time to allow deep surface penetration and adding non-skid aggregates into the coating.